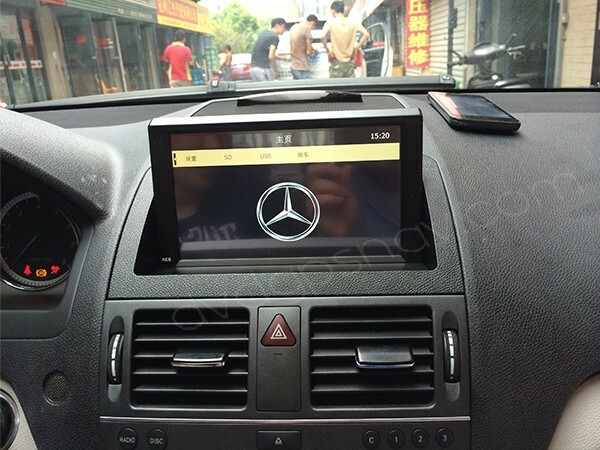 Aftermarket touch screen head unit for Mercedes-Benz C-Clas W204 C200 C180 C220 C250 C300 C350 with GPS navigation system built-in. 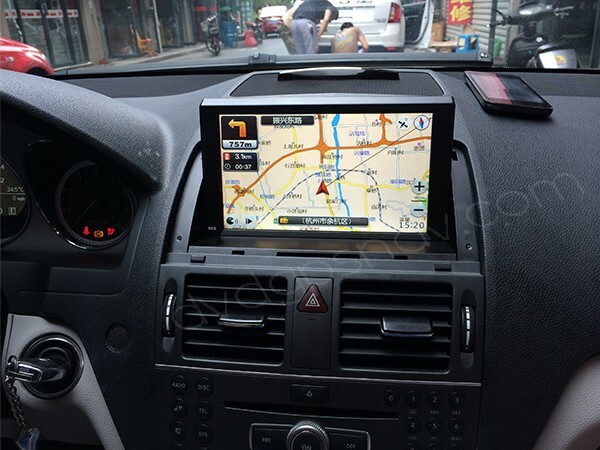 Buy Mercedes W204 navigation unit now get 8GB SD card with IGO8 GPS maps for FREE as a gift. 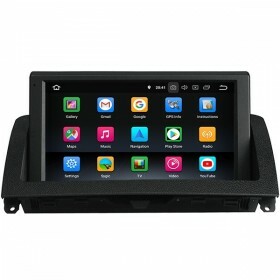 New: Android Mercedes Benz W204 navigation with Bluetooth handsfree phone calling and Bluetooth streaming music is also available now, only US$399. 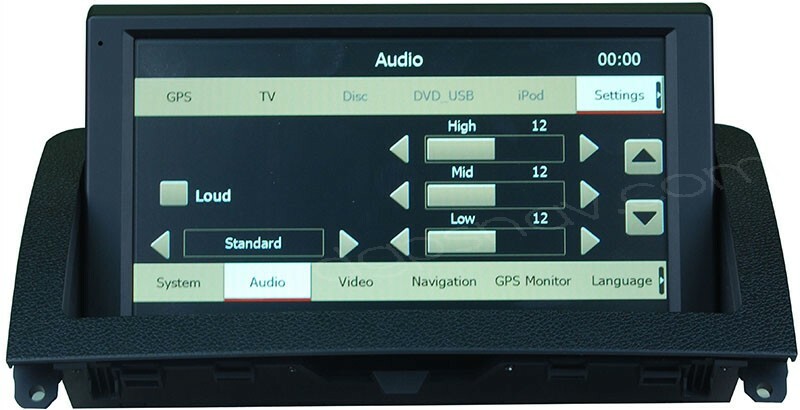 Touch screen head unit for Mercedes Benz C-class W204 from year 2007, 2008, 2009, 2010 to 2011 C180 C200 C220 C250 C300 C350, etc. 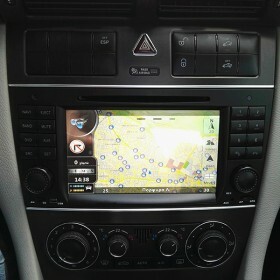 The Mercedes W204 unit has GPS navigation system built-in, with factory Mercedes-Benz navigation similar UI. 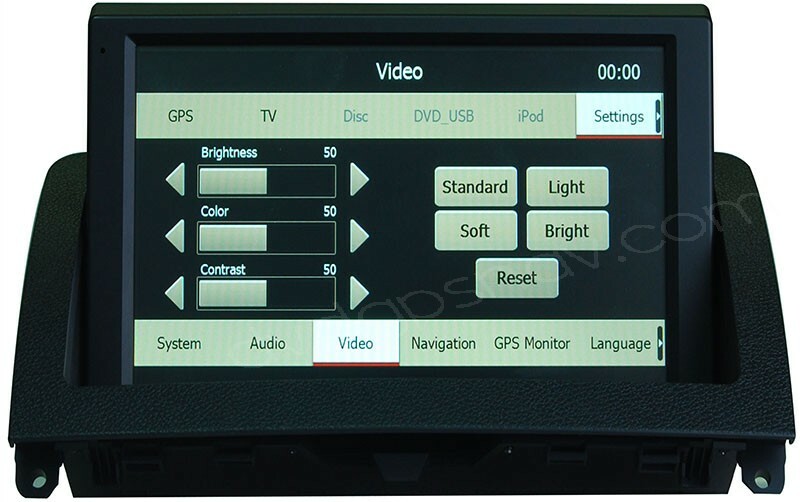 As this headunit does not replace your factory radio and CD, so DVDGPSNav don't add DVD and radio function for this W204 navigation unit, while if you really need DVD player, it can also support our external DVD player which costs extra US$60. 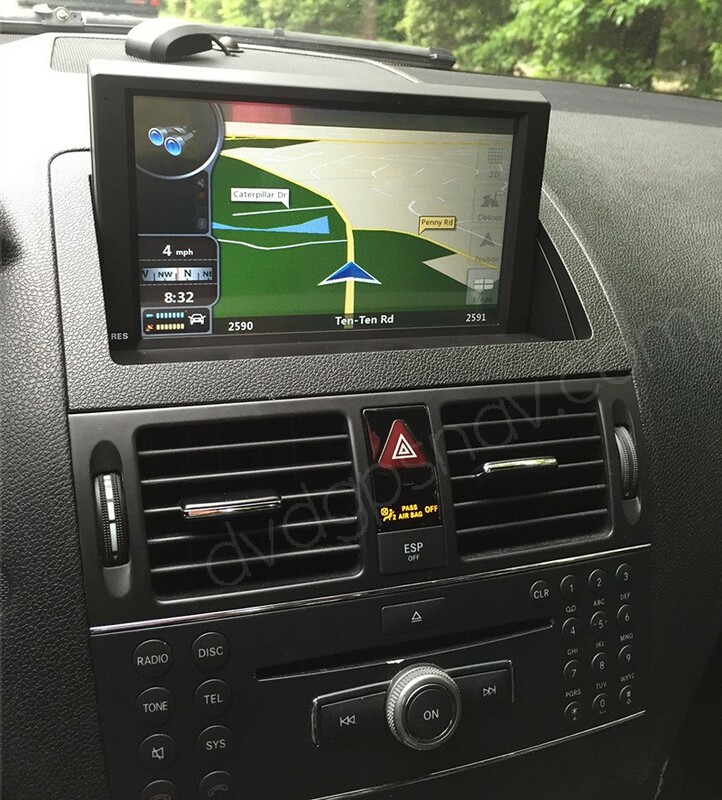 Why you should buy this Mercedes Benz C W204 navigation GPS head unit from DVDGPSNav? Factory-direct, we make sure send you the latest version, excellent service included, for any questions pre-sales or after-sales, we are more than happy to help. 10% OFF Now, ONLY US$456! 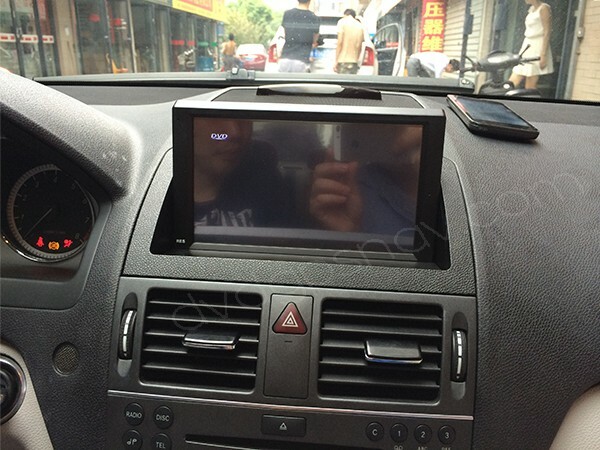 Note: This Mercedes W204 navigation GPS unit does not fit the car with a large screen which can be folded down, it can fit w204 which has a small screen in the dash which can not fold down. If your original screen is the 7" large display, you can check our W204 Android model. 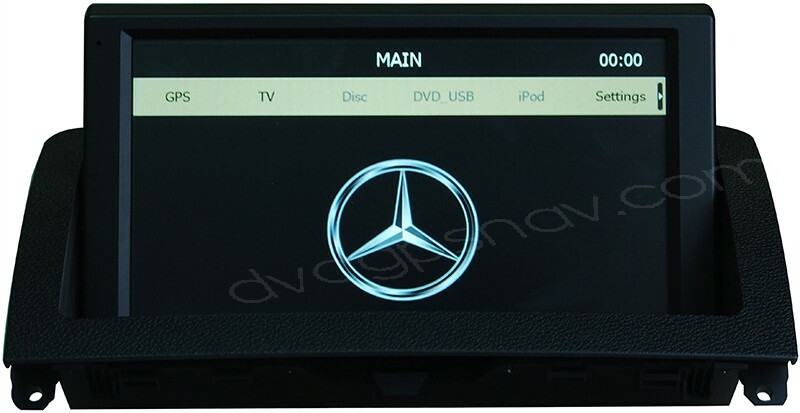 Aftermarket touch screen head unit for Mercedes-Benz C-Clas W204 C200 C180 C220 C250 C300 C350 with GPS navigation system built-in. 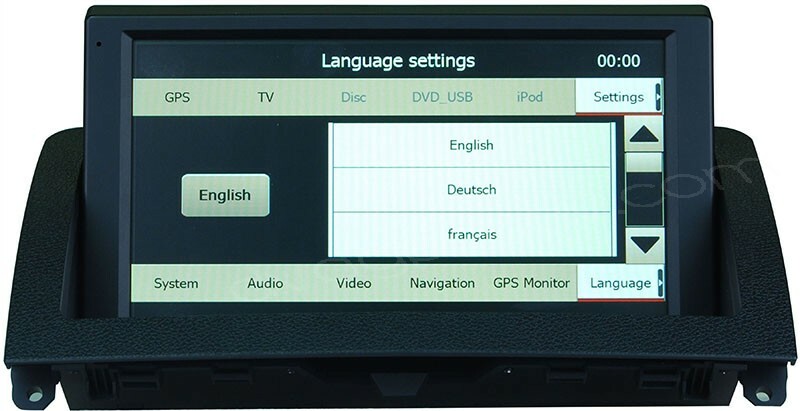 GPS Language: English, Russian, Spanish, French, German, Greek, Norwegian, Italian, Indonesian, Turkish, Lithuanian, Latvian etc. Does this unit fold down ? i have dash with larg screen , what you offer me ? also my comand cd/radio not working , do you have this type which can replace with y cd radio player and add new monitor also ? Do you ship to the Uk and how much would it cost in British pounds including shipping. Does it support steering wheel control? >> Yes, it supports steering wheel control, please check our new android model which also supports steering wheel control. Hi, does this unit play Bluetooth music from phone or just calls like original unit? When you switch to factory function is the command knob still operational? And there is a backup camera that can be hook up to your unit and automaticaly activated? 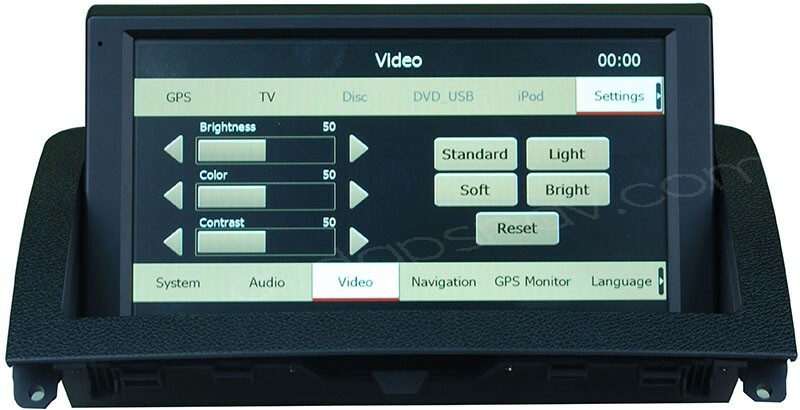 does this work with mercedes w204 , small screen? i do not have aux. And is it possible to get navigation for europe ? The existing bluetooth functionality is still ok, right? 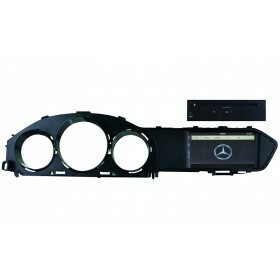 Am planning to buy this unit for my C200 W204 Mercedes model. Hi, will it fit 2010 c300, it has a radio screen that folds down. Just the screen for radio. If yes, will you guys include a guide to how to install? Is this one going to work on my 2012 c class 250, I have the small folding screen. Just wondering if it would fit my year model 2012 5" screen? Q: My command/multidisplay screen with maps for europa is broken. 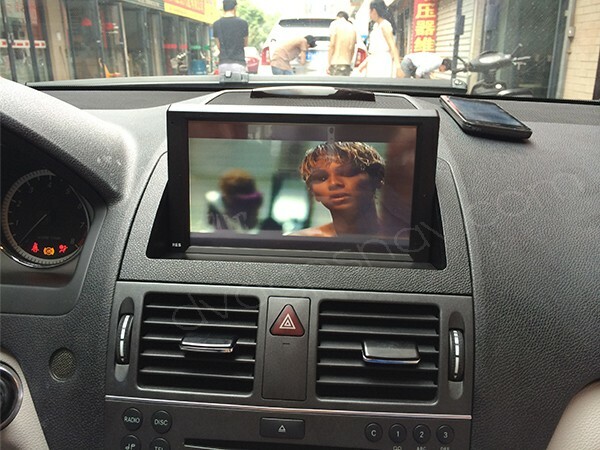 Does a 2008 yearmodell with small screen fit in my car or what do you offer me? 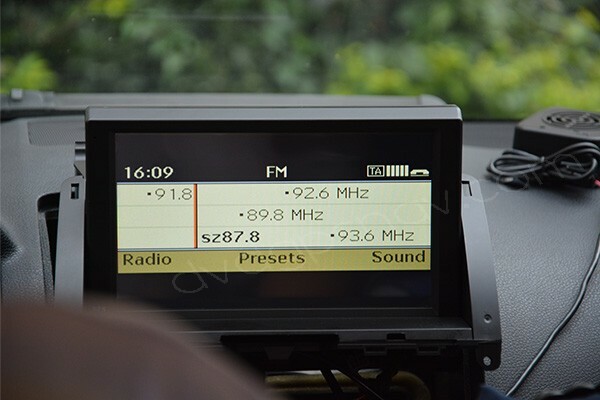 A: If you can make sure just the display screen is broken and the factory radio and cd system are all good, then you can replace the factory screen with our new Android screen.